Karachi, 26 June 2018: OPPO, The Selfie Expert and Leader, has partnered with world’s leading Brazilian Footballer, Neymar as an OPPO friend. 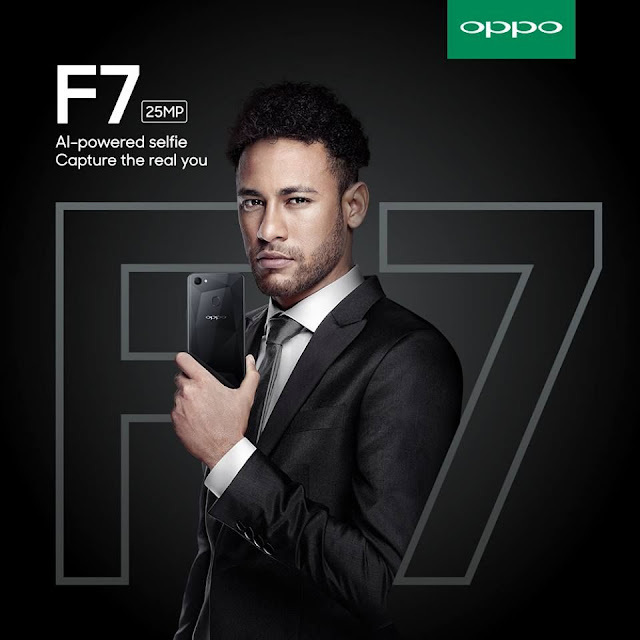 Neymar will be seen promoting OPPO Mobiles during the contest. In the past the brand has engaged with the footballer for the promotion of its OPPO FC Barcelona edition. OPPO is the first smart phone brand that brings Artificial Intelligence 2.0 into selfie feature in Pakistan with years of R&D. It identifies shapes and facial structures based on a global database and has around 296 facial touch points. Professional photographers and make-up artists were consulted during the R&D process, resulting in the A.I. technology having the ability to emulate those professional skills that can help selfies look more real and natural. OPPO F7 is the first phone that brings 25MP front camera for its consumer’s flawless selfies powered by a Octa core 64-bit Mediatek Helio P60 Processor. In line with its deep insight of young people's behaviour, OPPO first launched selfie-focused smartphones in 2016 - Selfie Expert F series in Pakistan. Its first batch of products received a warm welcome and the brand leads the trend in the industry. In 2016, OPPO was ranked as the number 4 smartphone brand globally, according to IDC. In 2017, OPPO introduced A.I. to the front camera and is leading a brand new era of the selfie. By now, OPPO provides excellent smartphone photography experience to more and more young people around the world.